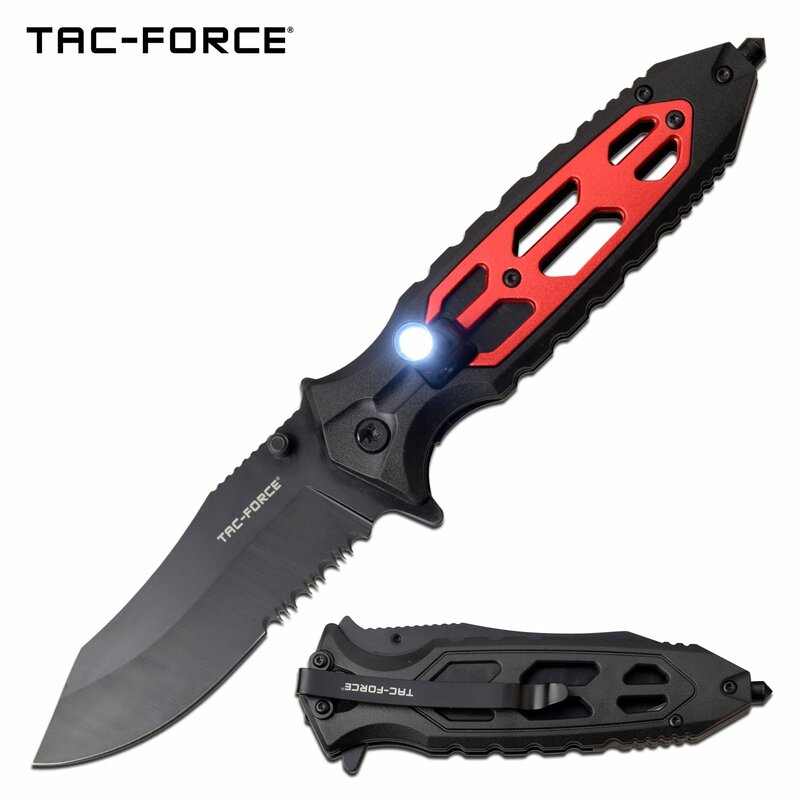 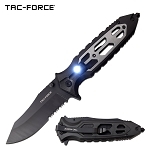 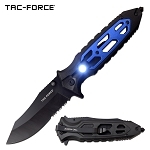 Pocket knife with LED light by Tac Force Knives. 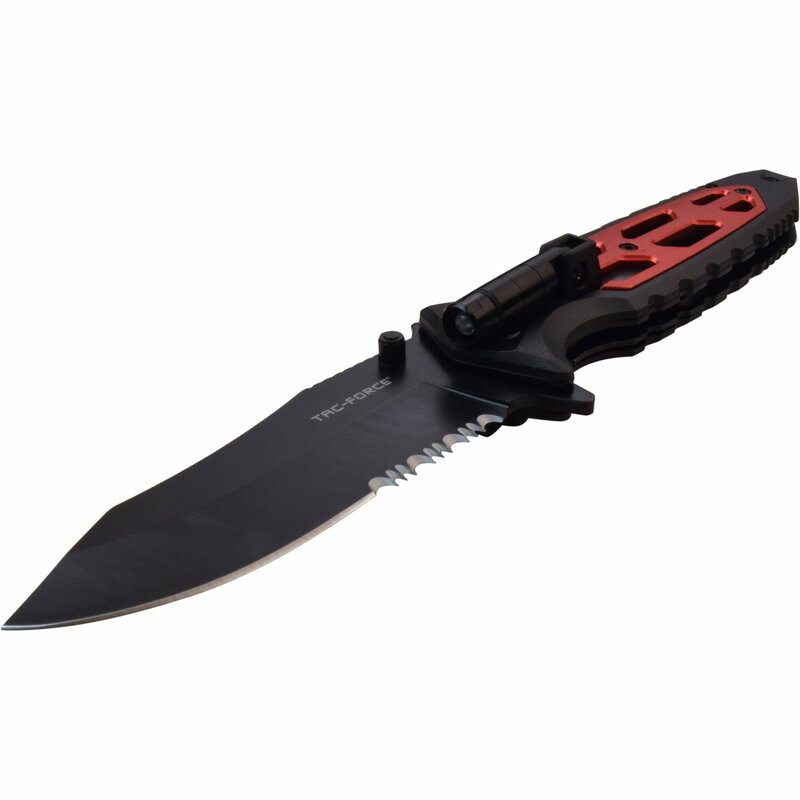 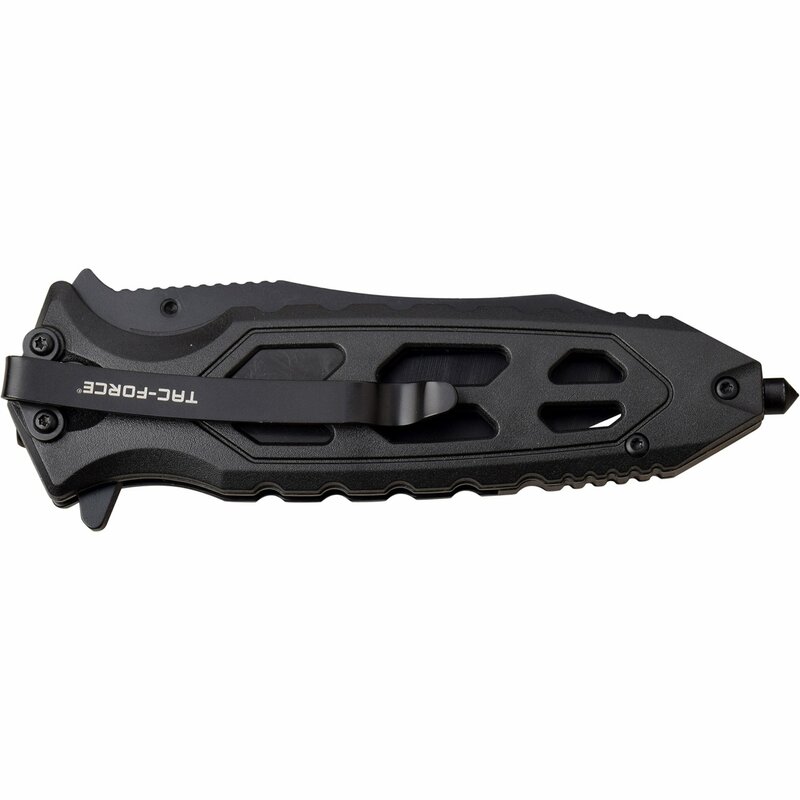 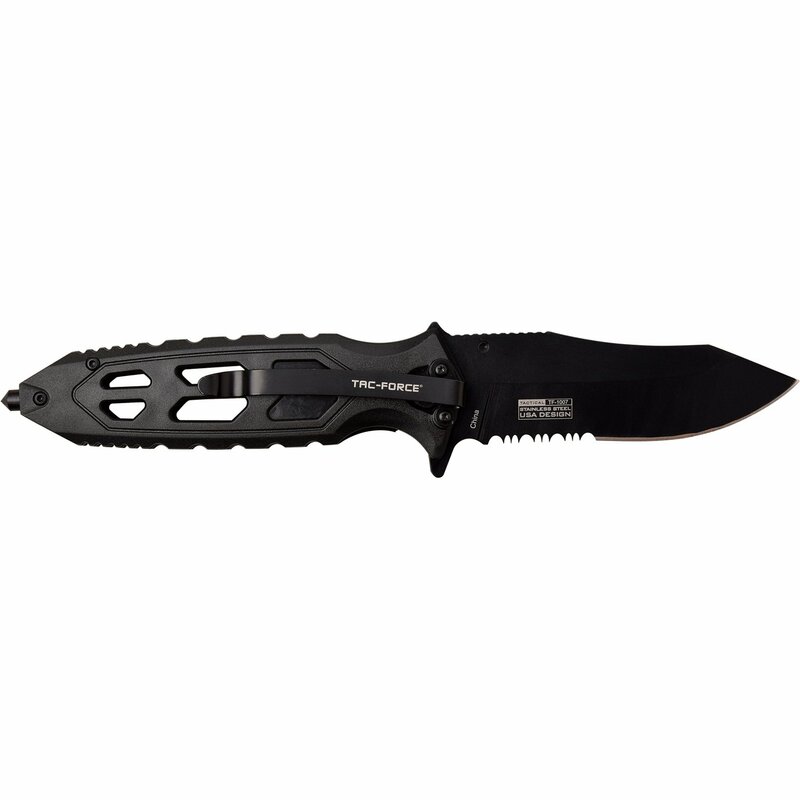 The assisted opening knife is a tactical knife with glass breaker on handle and LED light. 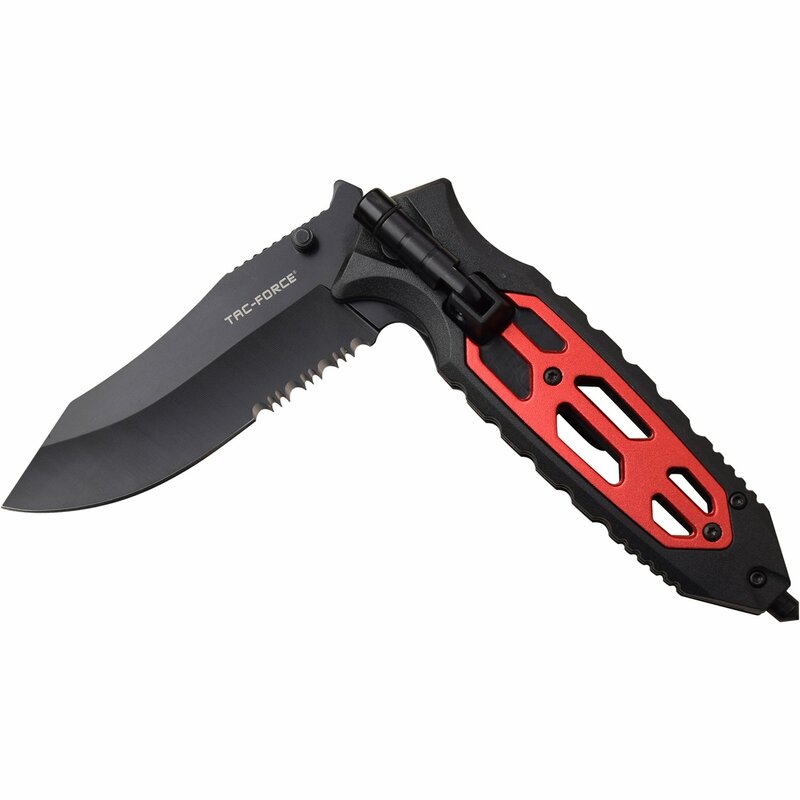 The open length of the knife is 8.5 inches long.